The six organizations receiving grants this fall reflect health care, education and social services, said Shawn DeCarlo, Shared Learning and Grant Evaluation Program Manager. “All of the proposals we received this fall have a strong, culturally responsive nature to their programs, which address the needs of children and youth as well as whole families,” DeCarlo said. 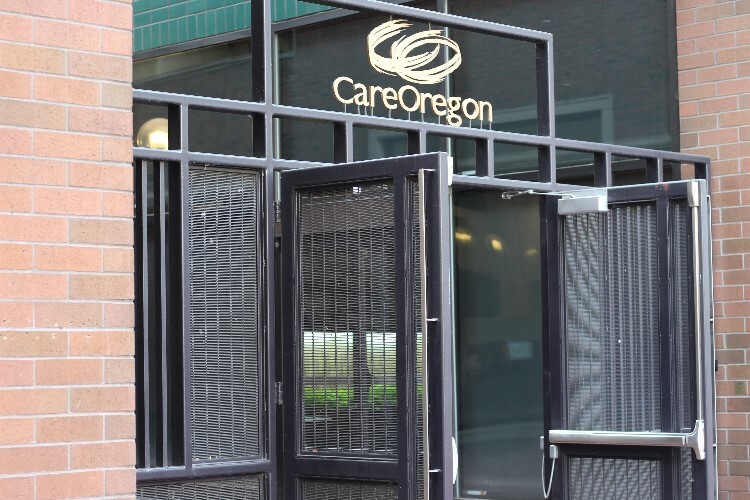 The programs funded will serve most racial and ethnic groups served by CareOregon, including Latinx, African-American, Native American, African, Asian and Pacific Islander, in addition to funding focused on services for children of color with disabilities. Virginia Garcia Memorial Health Center (Washington County), $45,000: Culturally specific trauma-informed care: Serving Muslim Refugee Families — Virginia Garcia Memorial Health Center will partner with the Oregon Muslim Medical Association (OMMA) to open a mental health clinic to serve Muslim refugee families once a month on Saturdays at the Virgina Garcia Beaverton Wellness Center. Currently, the program is offered at the Southwest Community Health Center in Portland, but the health center is closing in December. KairosPDX (Multnomah County), $40,000: Culturally Responsive Trauma-Informed Care — KairosPDX is an education-focused non-profit charter school attacking Portland’s persistent achievement and opportunity gaps through innovative pedagogy, community collaboration and family partnership. Funds will be used to support salaries and operations and continue support for the creation and implementation of an official KairosPDX Culturally Responsive Trauma-Informed Care curriculum. Oregon Community Health Workers Association (Metro/Statewide), $38,000: ORCHWA Early Life Programs — ORCHWA is the professional association for Community Health Workers (CHWs). Its Early Life programming is composed of two Community Health Worker collaboratives — the Community Education Worker program and We Are Home that together provide a continuum of individual and group support for parents of children prenatal through age 6. Funds will be used to support culturally specific agency participation in collaboratives. Adelante Mujeres (Washington County), $37,000: Trauma-Informed Early Childhood Education for Low-Income Latino Children in Washington County — The mission of Adelante Mujeres (Women Rise Up) is to provide holistic education and empowerment opportunities to low-income Latina women and their families to ensure full participation and active leadership in the community. Adelante Mujeres’ Early Childhood Education Program is a bilingual program that teaches early literacy skills and builds kindergarten readiness among Latino immigrant pre-school aged children in Washington County. Funds will provide expanded early childhood services in Adelante Mujeres new facility in Forest Grove. Living Yoga (Metro), $35,000: Trauma Healing & Resiliency for Youth and Youth Service Providers — Living Yoga provides youth who have had Adverse Chldhood Experiences (ACEs) with trauma-informed yoga services, and provides the health, human services and education professionals who serve them with trauma resiliency training. CareOregon funds will increase both the quality and quantity of culturally-responsive trauma-informed services and trauma-informed yoga provided to low-income through culturally specific organizations such as IRCO, Urban League, Programa Hispano Catholico, Hacienda CDC, NAYA and other early childhood educators and service providers. The Shadow Project (Multnomah County), $25,000: Expanding Trauma-Informed Care for Students with Disabilities — The Shadow Project has teamed with schools to foster success for more than 10,000 students who typically read one to three years below grade level and have challenges such as dyslexia, ADH, and autism. The Shadow Project’s SuperSensory Literacy Spaces create within schools designated break-out spaces for students impacted by ACEs and disability to practice emotional self-regulation in a safe and culturally-responsive environment. Funds will support the expansion of super-sensory spaces into schools with high numbers of children of color, including Rosemary Anderson Middle School in North Portland.